Two people and a small self contained RV. We love to see new places and meet interesting people. As of September we have been on the road for 6 months enjoying every minute of it. We are quite self sufficient and ready help as we both have lots of knowledge in many different fields. Alyson is a fantastic cook, brilliant on the computer, awesome photographer and is a great navigator and helpful in the garden (and so much more!). 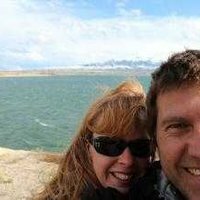 Ken has a technical background that includes computers, programming, film production, advertising, marketing, photography, business development, mechanics, electrical, off grid, gardening and creative use for just about anything. Ken can fix just about anything, travels with tools and loves to organize. Arvo's Solar Ark (www.solarark.org) and just about anywhere the view is fantastic, the traffic is non-existent and the nights are dark enough to see the milky way. 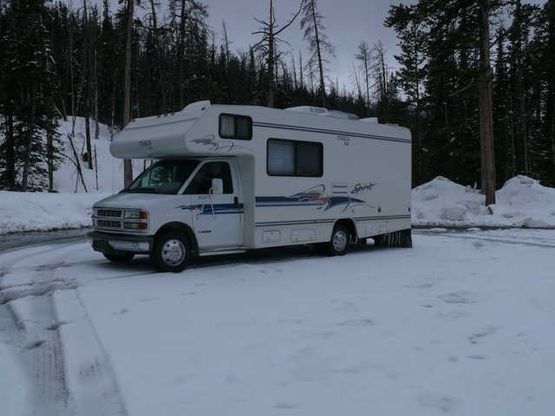 1998 Winnebago Spirit converted for long term travel. She is about 25ft long and we travel with two electric bikes. Ken and Alyson were very welcoming during our stay. They are genuinely nice people and easy to have a conversation with. Hope to cross paths in the future!